The key to accumulating more savings isn’t only to spend less; it’s to spend less without sacrificing your quality of life. Your paycheck comes in: 10% to 20% of it is automatically transferred into your savings account. Done deal. No need to manually move around money. It’s great if you want to save more than 20% of your income. But as a starting point, save 10% to 20% of your income no matter what. For every $10 that you make, $1 to $2 of it is going into your savings account, no questions asked. If you're spending every last dollar that you make, you're going no where. 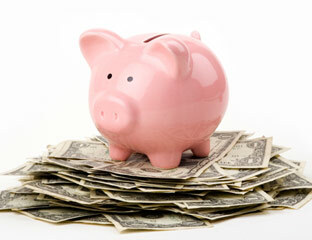 If you can't afford to save 20% of your income, you need to drastically reduce your spending. I was spending an average of $900 a month eating out. 5 days a week I'd go out to get lunch and dinner. Sometimes with co-workers, sometimes just by myself. Then on the weekends, I'd go out to eat at more expensive restaurants. I was driving my gas-guzzling vehicle on long trips and driving it aggressively. My fuel expenses came out to an average of $307 a month. At first I started wearing dress shirts more than once, especially shirts I had only worn for less than a few hours. This effectively cut my dry cleaning expenses by 30-50%. Later, I purchased a steamer for $130 and decided to steam all of my shirts myself. This cut my dry cleaning expenses to $0, saving me $840 a year. I changed my driving habits. Did you know that the douchebags who are constantly accelerating and braking and swerving around use up much more fuel than someone who drives at a steady pace? Also, they don't save a significant amount of time either. Me and the lady take her fuel efficient vehicle on longer drives to optimize on gas savings. My 4 month average gas expense has been $138, down from my average gas expense over the previous 9 months of $307, saving me an average extra $169 a month ($2028 a year) off my fixed costs. I did some bill negotiations this year. This one is a lot easier than you think it would be. I cut internet service bill from $52.99 to $39.99 with one phone call saving me $13 a month ($156 a year). I cut my AT&T wireless bill by $10 every month with one phone call ($120 a year). I will teach you how having a 5 minute telephone conversation with customer service can save you hundreds. I fired my broker who charged $40 a year for account maintenance with funds that had sales loads and switched to Vanguard, which charges $0 a year for account maintenance. This will save me $40 a year. I just fired my gardener and decided to do my own lawn mowing, saving me $45 a month ($540 a year). I started using coupons at grocery store when appropriate (don't buy something you wouldn't normally buy for the sake of using a coupon you wouldn't normally use). The trick to using coupons effectively is to hang on to them and not use them right away. When a store has a sale on that particular item, use the coupon in combination of the sale for maximum savings. Now I’m not looking to be an extreme couponer, but it’s definitely nice to regularly see discounts of 10-20% off my grocery bill. Also, we go to Costco and buy in bulk when possible. It doesn’t matter how much you can save off a grocery coupon – for some items, Costco is still cheaper. I've saved thousands of dollars this last year. I did this by cutting costs on expenditures that weren't necessary and cutting costs that could be easily reduced. This has not only maintained my quality of life, but also fattened my bank account by a large amount. Who couldn’t use a fatter bank account to improve their quality of life? It's surprisingly easy to reduce your spending without completely depriving yourself of doing the things you love and buying the things you want. Put in some effort now, and let the savings accumulate. What savings goals will you reach for?